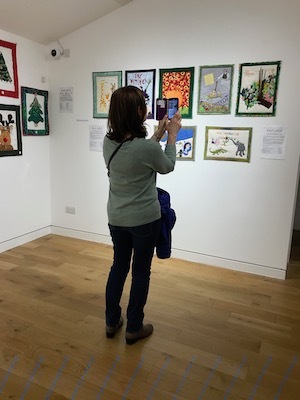 The Sevenoaks Kaleidoscope Gallery Hire. 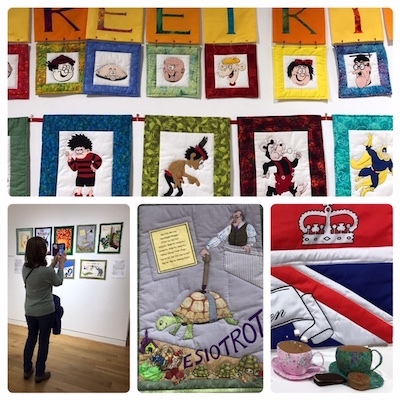 ‘Festivity’ sums up the atmosphere of this exhibition where children’s literature is celebrated in stitched textiles. 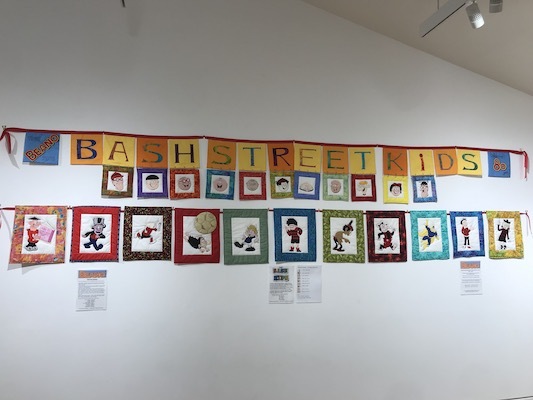 Hope Quilters are a thriving quilting group who meet locally and have worked in conjunction with the library to produce this joyful work. 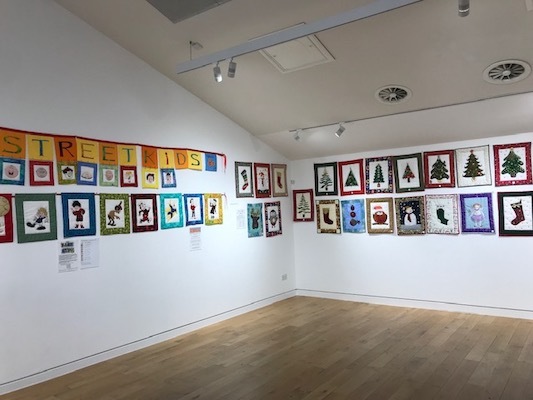 This exhibition ‘Festivity’ started in 2016 when a small quilt exhibition was created for Seal Library to celebrate the Queens 90th Birthday. 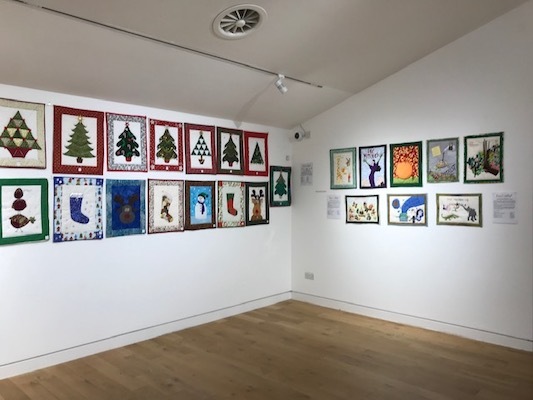 Sylvia Critcher and The Hope Quilters have since worked to produce Summer and Festive themed quilts, displayed in the children’s library at Seal and Sevenoaks 2016 – 2018. The collection is being shown together for the first time. 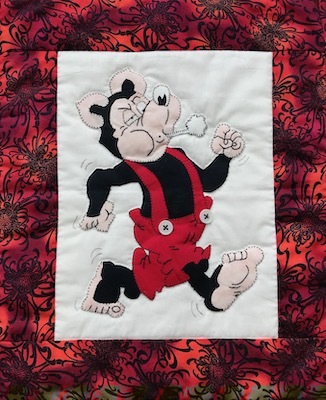 The Hope Quilters meet in Seal Library on Mondays. 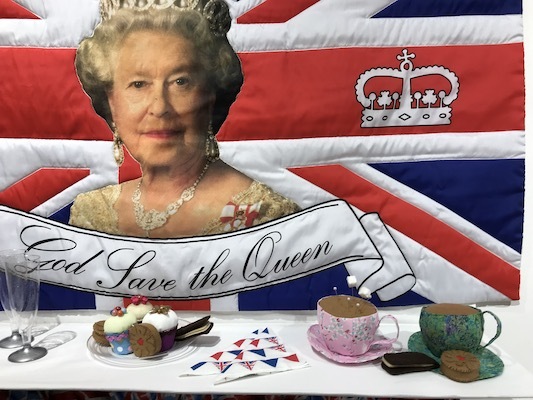 Festivity is in conjunction with Jenny Carter of Sevenoaks Library. 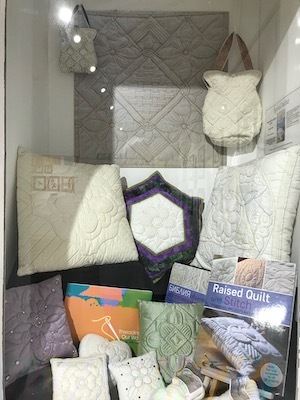 Sylvia will be in the Gallery to chat with you about everything to do with Quilting. Sylvia trained at Goldsmiths College in Fine Art & Textiles with Constance Howard as her tutor and inspiration. 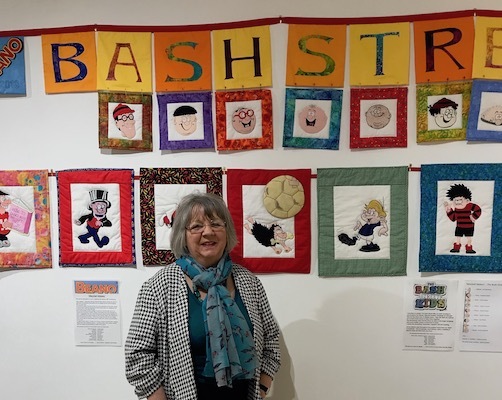 She has taught Life drawing, fabric printing, painting & sculpture, embroidery, patchwork & quilting plus a wide range of related textile subjects for many years. 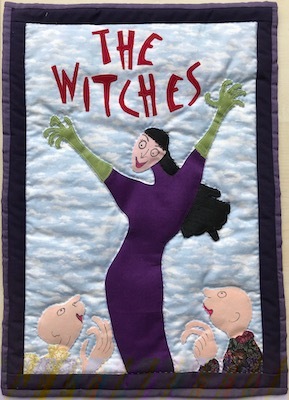 Sylvia worked for Kent A.E. at Sevenoaks for 33 years, where she ran Part 1 & Part 2 C&G.